Puneri Paltan were led by a 10-point performance from More G B as they defeated Telugu Titans 35-20 to register a victory in their final match of the season. Six of Puneri Paltan’s starting seven players managed to get points on the board as the team capped off their Season 6 campaign on a high. Some early moments of inspiration from More G B and the Puneri Paltan defence saw the team concede just 2 points on the way to inflicting an All-Out on Telugu Titans in just the 9th minute. More G B went on a run of four successful raids in this period while Telugu Titans’ two Iranians Mohsen Maghsoudlou and Farhad Milaghardan were the only two successful point-scorers for their side. This saw Puneri Paltan open up an 8-point lead early in the match and take control of proceedings. 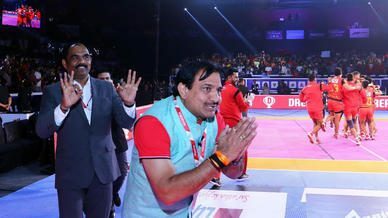 The introduction of Kamal Singh to the Telugu Titans offence once the team reassembled helped them get back in the match as he and Nilesh Salunke brought the deficit down to four points while not allowing Puneri Paltan to score after they sent Rahul Chaudhari to the bench in the 9th minute. This reduced Puneri Paltan down to just three men on the mat and they delivered in the Super Tackle situation yet again with Ravi Kumar’s Dash on Nilesh Salunke to get back some momentum. From there, Puneri Paltan managed to send Kamal Singh to the bench and score with the help of More G B to end the first half with a 17-10 advantage. 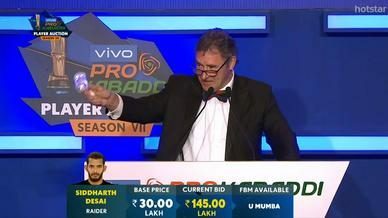 The second half started with More G B at the centre of the action once again as he put in a double Thigh Hold to send Salunke off the mat before Puneri Paltan increased their advantage to 9 points through Rajesh Mondal’s Running Hand Touch on Vishal Bhardwaj. 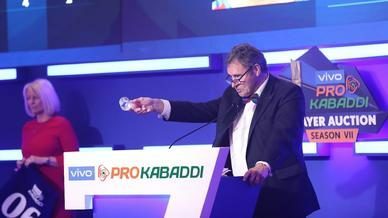 However, Telugu Titans managed to reduce them down to three players by first sending Mondal to the bench and following it up with Milaghardan’s 2-point raid in the 8th minute where he escaped two successive Ankle Hold attempts. The Puneri Paltan defence, though, managed to fire once again by taking down Maghsoudlou in a Super Tackle situation. 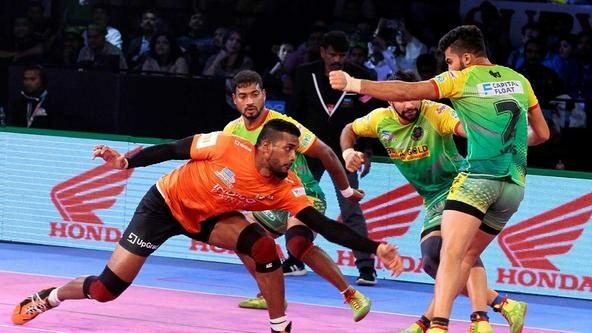 The next period of play saw Puneri Paltan reduce Telugu Titans down to two men by picking up both their key raider, Rahul Chaudhari and Nilesh Salunke, giving them no room to score in their raid. But those two men left on the mat were Corners Vishal Bhardwaj and Abozar Mighani and the duo took down More G B to give their side a Super Tackle with the scores reading 27-17 in Puneri Paltan’s favour. 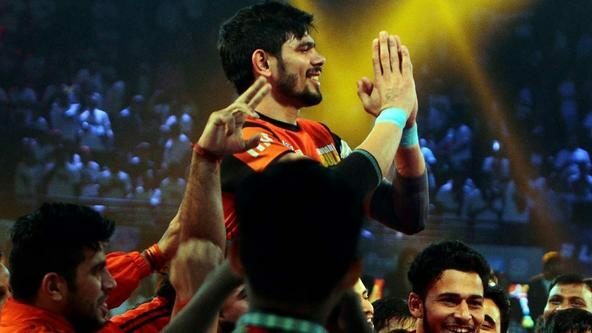 However, the All-Out finally came in the 19th minute as More G B returned with a successful touch on Vishal Bhardwaj when up against the two Corners yet again and C Manoj Kumar wasn’t able to overcome the Puneri Paltan defence as the last man left on the mat for his side. A two-point raid each from Sandeep Narwal for Puneri Paltan and C Manoj Kumar for Telugu Titans to finish things off gave Puneri Paltan a 35-20 victory in the match.